Sophos produces some of the best dedicated security software products on the market, and they're an excellent addition to even the strongest hardware-focused security setups. The newest updates to their flagship Intercept X program may be enough to get even the staunchest skeptic to take another look. 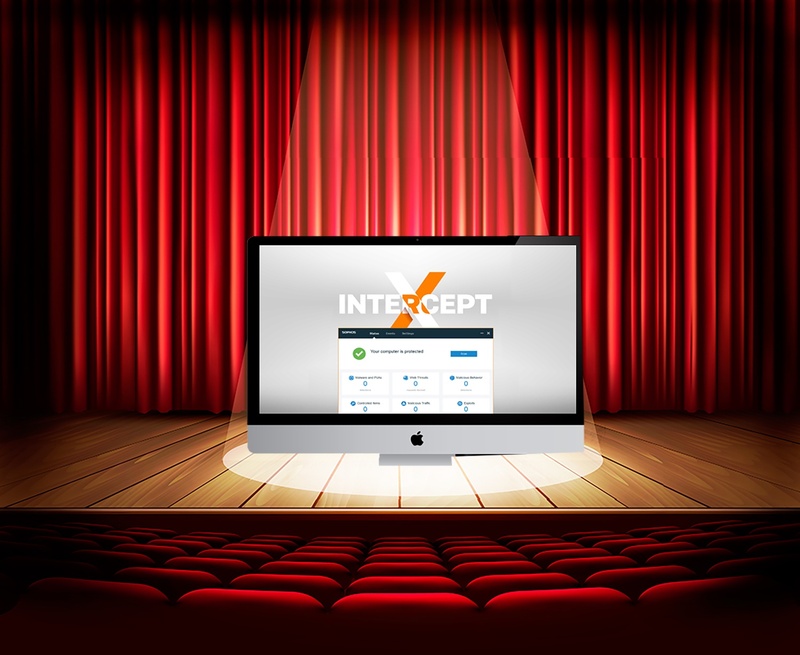 Intercept X is poised to be a game-changer in the field of anti-exploit/anti-malware protection, taking machine-learning security systems to a new level. The new Sophos Intercept X introduces deep machine learning into their already-robust security system. They're certainly not the only security company dabbling in AI and heuristics, but Intercept X is well ahead of the curve. Their deep learning system does not require a database or signatures. It's capable of analyzing a file it has never seen before and, without running it, detecting malicious code. This is based on data gathered from millions of endpoints around the world, adding up to 2.8 million new malware samples every week. That's a huge treasure trove of information, and exactly the sort of sample set a company can build robust heuristics around. The result is a system capable of running millions of analyses on a file within a matter of milliseconds, ready to intervene if a file that's about to be launched creates a red flag. According to Sophos, it has lower false-positive reports than most signature-based detection systems. Given how many files need to be downloaded from the Internet on a given day, that's a big boon. It is also less resource intensive than most signature-based systems, which have to spend a lot of time churning databases. The deep learning system only takes up around 20MB, and has negligible impact on system performance. In our view, this adds up to a truly impressive package, one of the most robust all-around security solutions available. It might be overkill for smaller organizations, but if your company deals with sensitive data, or absolutely cannot afford a ransomware attack, Sophos has the protections you need. Fundamentally, Sophos is one of the leaders in a field which will undoubtedly come to dominate network and PC security. At this point, threats from malware are coming so fast and so frequently that keeping up with all of them is quickly moving past human ability. The network security systems of the future will be partially - or even entirely - based around heuristics and other forms of AI. Jumping on board with a product like Intercept X isn't just going to help your security systems today. It will advance the next generation of AI guardians by adding your experiences to the pile of data being analyzed. To learn more about what Sophos and Intercept X can do to keep your network safe against the threats of the future, contact Hummingbird Networks today.